As readers of this blog know, the appeal is only the most recent chapter in a long-running high stakes legal battle between the FTC and LabMD, a now-defunct medical testing lab, over two apparent data security incidents that date back almost a decade. LabMD is the only company subject to an FTC data security enforcement action that has refused to settle with the agency. Nearly 60 other companies have entered into consent decrees with the agency since 2000 concerning data security claims. The Eleventh Circuit appeal – with a ruling expected by this fall – will have far-reaching implications for organizations under the FTC’s watch, however it is decided. If the FTC prevails, data security enforcement actions under Section 5 of the FTC Act will likely not require proof of actual consumer harm or injury. 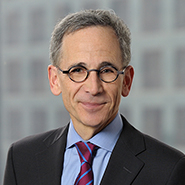 As a result, the agency’s consent decrees will be viewed as instructive precedents indicating what data security practices the FTC deems “unfair.” But if LabMD wins, the enforcement bar will be raised – requiring the FTC to show more than just speculative injury – which will likely toughen an organization’s stance if the FTC comes knocking. It will also call into question the value of the FTC’s body of consent decrees as guidance for data security standards that will pass agency muster. The case principally focuses on two data security incidents. It’s difficult to call them “data breaches,” in the traditional sense, because there's no evidence of an actual breach or misuse of the information at issue. The first incident concerns an allegation that an internal LabMD report with names, dates of birth, social security numbers and other information for some 9,000 patients was compromised. But the back story is complicated. A cybersecurity firm, Tiversa, Inc., apparently “discovered” the report on a peer-to-peer file sharing program that had been installed on one computer in the accounting department at LabMD. Tiversa reported it to the FTC. And that’s it. There’s no evidence in the record that the document was shared with anyone other than the FTC, or that any identity theft or other harm occurred. The second incident concerns a document with sensitive information of 500 additional patients that ended up in the possession of apparent identity thieves in California. Again, the record is devoid of any evidence of identity theft or misuse of the document or information. As readers of our blog will recall, the Eleventh Circuit signaled its initial discomfort with the FTC’s approach late last year when it granted a temporary stay of the Commission’s final order pending appeal, noting that LabMD had “made a strong showing” that the agency’s legal interpretations of Section 5 may not be reasonable. The Eleventh Circuit said that LabMD’s appeal presented “a serious legal question” concerning the FTC’s interpretation of Section 5 and ruled that any enforcement of the agency’s order should be stayed until the appellate process runs its course.